The IRD Duhallow Mentor Programme is a Mentoring programme, where Duhallow businesses can avail of 10 hours of expert advice and guidance on how to fully realise and maximise the potential of their business. 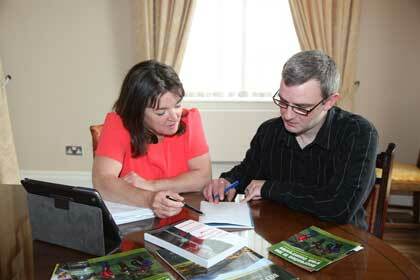 The Mentor Programme is open to all businesses within Duhallow. It can be used to provide advice and support to an existing business, or give guidance on the establishment of a new enterprise. The mentor programme is entirely free of charge for all successful applicants. The Ignite programme has compiled a panel of expert mentors who are each specialists in their chosen field. These top class mentors have been gathered from a list of applicants throughout Munster and encompass a wide variety of topics and specialist areas including marketing, finance, legal and sales. The 10 hours mentor time will be maximised using business analysis to identify the areas most needing addressing. The hours can be used in whatever manner is most beneficial to your business. E.g. for businesses most concerned about finance, the mentor apportionment will be weighted to reflect this need. Between sessions participants will carry out project work to implement agreed solutions. The programme will host a number of informative networking seminars and workshops addressing topics flagged by companies and mentors through the mentoring process. All members of the mentor programme will be encouraged to attend these seminars. Have in place an achievable plan for the development of your business. Become more confident in your own business ability.